1st Tournament was a Great Success!! 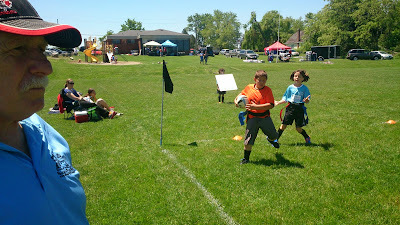 The weather was beautiful and the kids played great. Grimsby is always an excellent place to play at because it is a real Rugby field. New players were able to experience playing the tournament games against other players from other cities. Experienced players were able renew friendships with players they have not seen since last year. Thanks to Bill and his team to making this day a success! !